Nice pic. Best wishes to you. Visit mine. 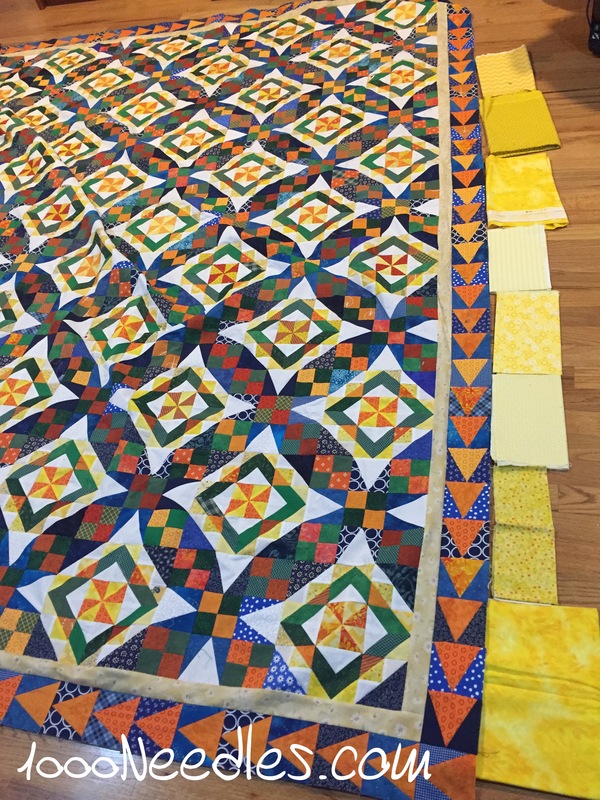 That is one of the Bonnie Hunter quilts that I didn’t do, and I still regret….beautiful! The yellows for your border pick up the yellows in the center blocks. Very nice.